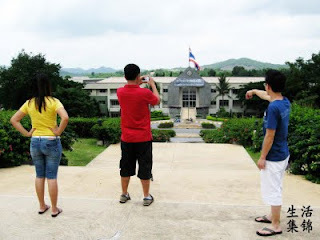 Last weekend we decided on a snap of a finger to drive up to Muak Lek, Saraburi to enjoy some upcountry pace of life. As soon as we woke up on Sabbath morning, Hobbit called his colleagues up and off we drove with our own vehicles to Muak Lek. With us on this getaway were Elvin and his wife Grace. 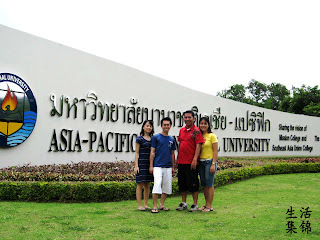 Since this was their first trip out of Bangkok, they faithfully tailed from behind our vehicle. Since our vehicle can soon be in the museum display, both Hobbit and I actually felt guilty of being the head, a tortoise head almost literally because our car sped like one. Despite, they were really patient and never once went vroooooom to the front when actually their new Fit could actually fly. 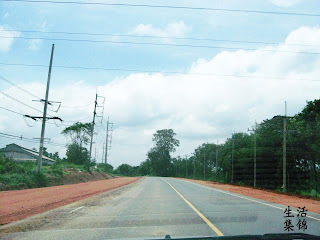 As soon as we reached Muak Lek, the first turn we made was to the left, to the left...Yup, the road that led to paradise-it used to be for both of us and it was the opposite too at one point. As we drove closer to our destination, inside of me sprouted stems of excitement hoping to see that once engraved MC emerged to a longer acronym, AIU. Exactly, one letter extra yet it meant a thousand pile of sweat, a dozen buckets of tears and a hefty amount of determination...just to obtain the new status U=University. As soon as the tour was over, our tummies started to growl. 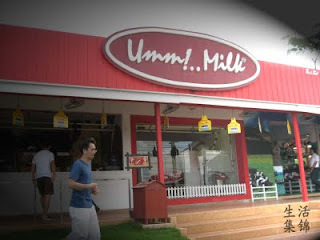 So we drove a little further up to Chokchai farm to have a taste of the moomoos. Not the swines! Well, I haven't really been to Chokchai's well known steak restaurants except for the branches in Bangkok but I bet the menus would be somewhat similar. 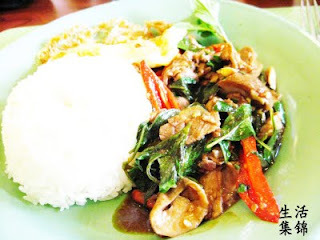 The truth is that Chokchai's steak house in Bangkok has wider variety compared to Muak Lek but there are certain dishes that you can get in Muak Lek but not in Bangkok and vice versa. 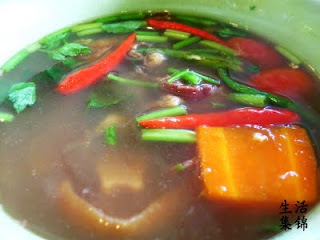 The food was good but as always the case - the "mai phet" (not spicy)somehow ends up "phet" to our tastebuds. Nevertheless, we had their signature ice-cream that no one should miss unless you have tonsilitis. 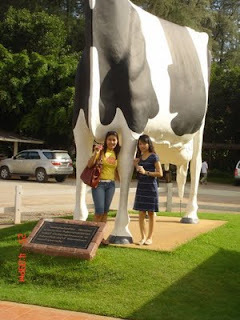 We didn't fail to take pictures with the skinny cow! 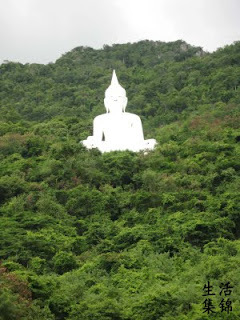 Next stop was the White Buddha at Klang Dong and the sky was covered with dark clouds. We thought it was going to pour very soon thus we just stayed at the temple ground and took pictures with the humongous gongs, chickens, etc. We actually met some MC friends who were touring some visitors. They were on their way down through the hundred steps and encouraged us to go up but we with the "alzheimer" legs were too lazy. Maklumlah sudah kurus..."_"
Arrggh...This post is already long! Guess this is it for ML Getaway #1 and #2 coming up next!